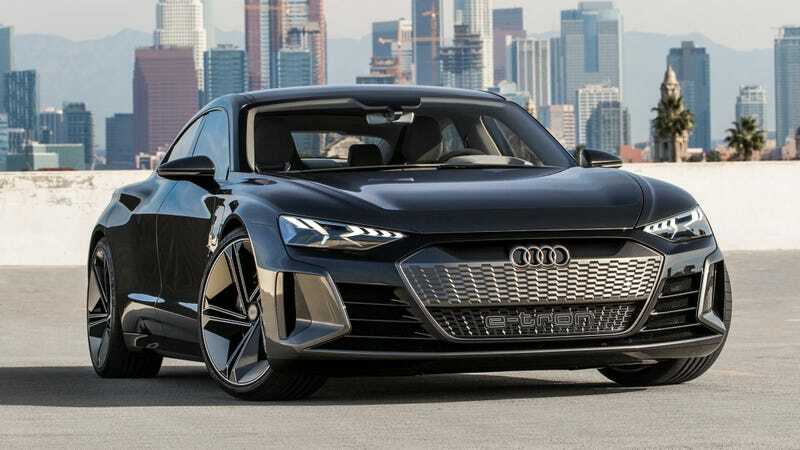 The future seems bright for Audi as the company appears to have an entire portfolio of electric vehicles planned for launch over the next few years. And they aren’t all just SUVs, either. There’s also apparently a Tesla Model 3 competitor in the works, too. Autocar estimates that this new EV will be launched in 2023. Which means that this A4-sized E-Tron GT, whatever it’ll be called, will most likely have the Model 3 in its crosshairs. Audi didn’t say it outright, but that’s the only other EV currently in the segment. We already know that the E-Tron GT will be built on the Porsche Taycan’s platform. Lichte confirmed the Autocar that the A4-sized car will also share that PPE architecture. Of course, being part of the Volkswagen empire means that Audi has access to all kinds of different EV architecture. There’s the PPE, Volkswagen’s MEB and Audi’s adapted but old MLB platform. It could create all sizes of cars with those. The Model 3 might have blazed the way, but sooner or later, there will be competition to follow.